A tribute to the man who became the father of the "Tube"
A brilliant railway engineer James Henry Greathead, who lived in Barnes in the 1880's pioneered the use of tunnels. And a mechanical shield he invented made tunnelling deeper, cheaper and safer for the army of workers building the London Underground. English Heritage approved a commemorative plaque on his home, then known as "Birchwood", in St Mary's Grove, Barnes, where he lived with his family between 1885 and 1890. He was of English descent but his grandfather emigrated to South Africa, where he was born in 1844. Three of his children were born at St. Mary's Grove. Greathead died from a stomach cancer at the age of 52 in 1896. Computer consultant Rob Cartwright, researching a biography of the South African born engineer, said: "He was a god in his field. It's fair to say that without his invention of the tunnelling shield, there would be no London Underground." 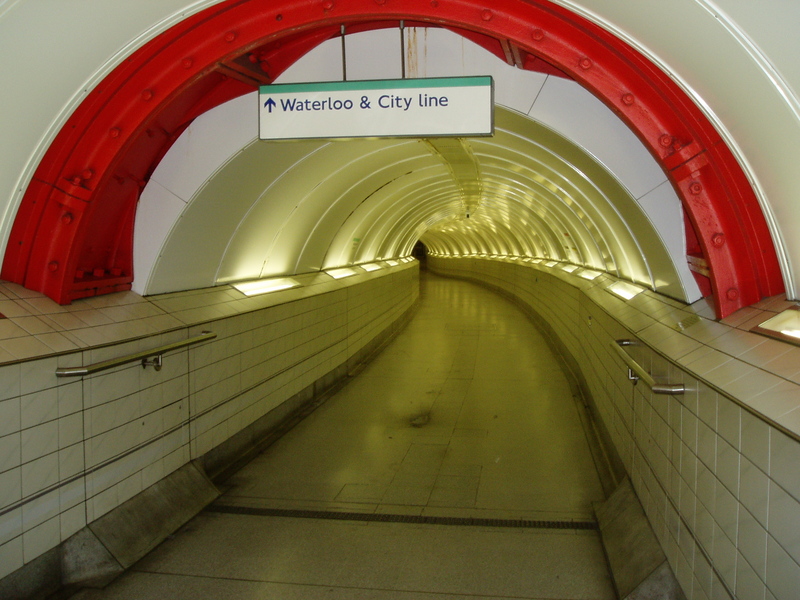 London was the first city in the world to have an underground railway system. The early District and Metropolitan lines were built by a system known as cut and cover. Workmen dug up the road, tunnelled down no more than 20ft, bricked the sides and covered it. The cost was as much as £1m a mile, but Greathead's shield revolutionised tunnelling. However, the tunnel is still in place carrying, amongst other services, hi-tech optical fibre cables. With more commercial success, he went on to construct tunnels for the City and South London lines in 1886 and was involved in all major 19thC. extensions to the Underground system. He was consultant engineer for the Blackwall Tunnel. James Henry stands alongside Sir Joseph Bazalgette and Marc Brunel (Isambard’s Dad) as one of London’s great tunnellers. He designed the Greathead Tunnelling Shield with which he built a subway beneath the Thames in 1869 to help relieve the street traffic. It employed a single, cable-drawn carriage but was not a commercial success. Other inventions include the injected fire hydrant and the grouting machine used to stop Winchester Cathedral collapsing. 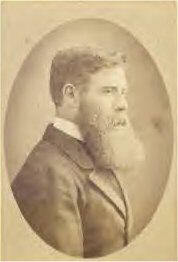 He was elected to the Council of the Institute of Civil Engineers in 1884. In January 1994 he received posthumous recognition in the form of a statue erected outside the Bank underground station in the centre of Cornhill. It was unveiled by the Lord Mayor of London and is situated on a plinth hiding an ventilation shaft for the railway beneath. The badge of the City and South London Railway is carved on one side and on the other a representation of the tunnelling shield. 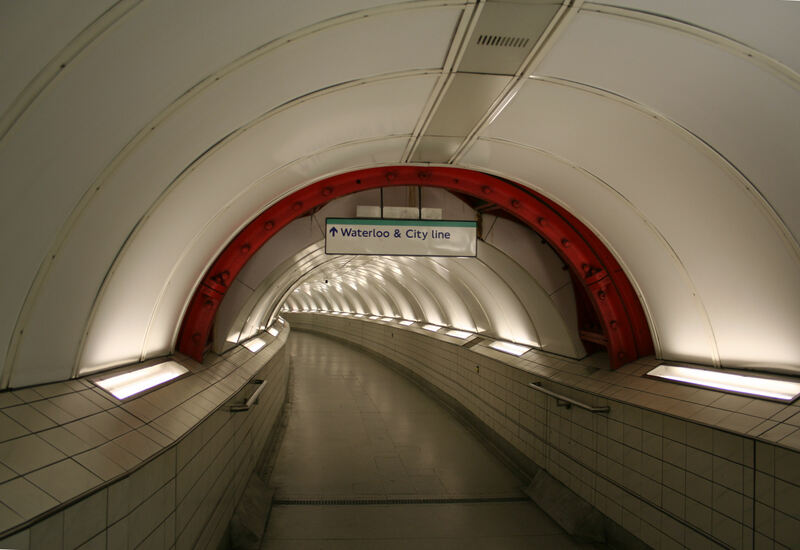 While the station was being refurbished a section of the shield was uncovered in the passageway between the underground and the Waterloo and City Railway. It has been painted red and a brass plate erected as a further memorial to his achievements.